Welcome to February! Good-bye to January. In our younger days, January seemed to drag on forever. We grew up thinking January was the Longest Month and embraced the arrival of February like a long lost Friend. We were always so happy to see the last of January. Well, at this stage of our life, every month passes too quickly. This year's January seemed to fly by faster than the proverbial blink of an eye, even if it was dry. Did you know: Historical names for February include the Old English terms Solmonath (mud month) and Kale-monath (named for cabbage) as well as Charlemagne's designation Hornung? Frankly, we're hoping it will be Mud Month this year. We are so water starved. 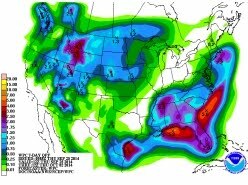 The pendulum could indeed swing over to the wet side this month. Why's that? Well, it takes huge planetary-scale changes to create a pattern paradigm shift. We may actually be seeing such changes in their early incarnations right now, at least for Idaho. Let's take a look at the possibilities this morning. Captions are below each graphic. 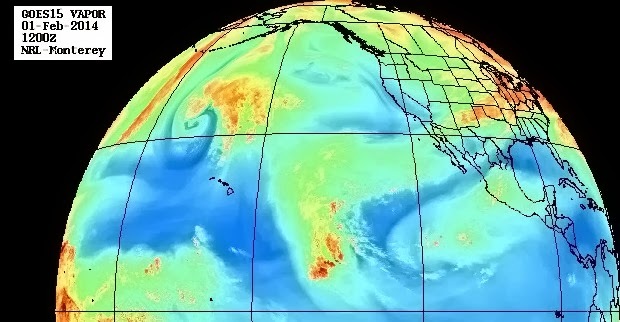 This is the US Navy's view of the Eastern Pacific water vapor. You can see a couple of big areas of water vapor (yellow and orange) poised to move ashore in what's called CONUS (Continental United States). 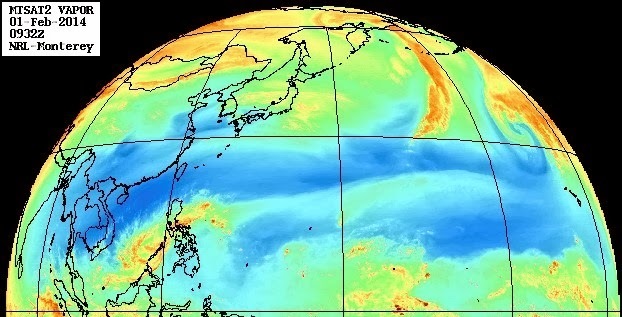 The key thing is what's happening in the Western Pacific. Will the water vapor "tap," as it is often called continue to favor CONUS? It appears that a potential supply train is setting up over Northern Siberia. It takes pressure to set the stage for water delivery to CONUS. The giant ridge of high pressure that has kept us dry looks to be a minor player at this time. 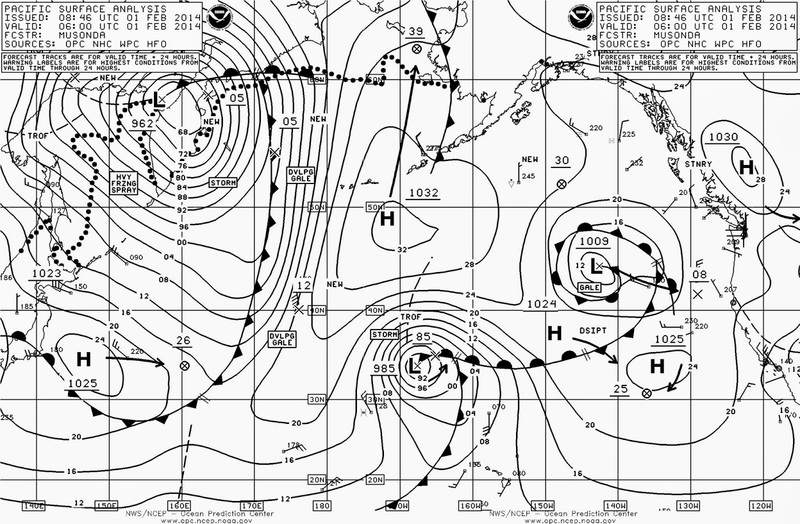 Note the giant low pressure in the Western Pacific. Finally, the jetstream is the Quarterback for getting water across the goal line to touchdown in CONUS. What you are looking at above is the northern hemisphere shown as if you were directly over the North Pole looking down. Note the zonal flow of a huge jet stream that is located as far south as 15 degrees North latitude! Sometimes we see the jet that far south but it's usually a dippy looking jet. This jet stream is blowing 139 knots out about 172 degrees West. That's a huge factor in a potential pattern change. Whenever the jet takes a curving dip, the curvature can move away quickly. However, when it gets a massive zonal flow set up like you see here, it's hard to change such a flow quickly. If this pattern persists; if the low pressures continue to develop in the Western Pacific and if the Siberian water express can continue, this bodes well for the near-term future. Indeed, NOAA's Climate Prediction Center is now saying Idaho will experience above normal precipitation for at least the next two weeks, possibly longer. See: http://www.cpc.ncep.noaa.gov/ . The jury's out on what might happen in Arizona. 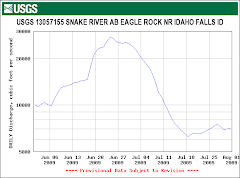 Chances are we will tend to remain on the dry side but at least there's hope for Idaho! We studiously avoid covering crime news here on the Morning Edition. However....today is an exception. We're certain 100% of our Dear Readers know about this ridiculous incident last year. Well, it would appear that "justice prevails," as they say. 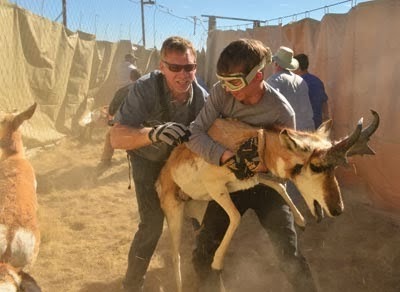 Nothing can bring those rocks back but at least Utah could set an example and give every Bubba Boy a "teachable moment" out of this sad episode in Western lands recreational history. Interestingly, just before the end of Year 2012, the Salt Lake Tribune did an article on their most popular stories during the previous 12 months. This particular story was listed #1 and by a huge eye-popping margin. 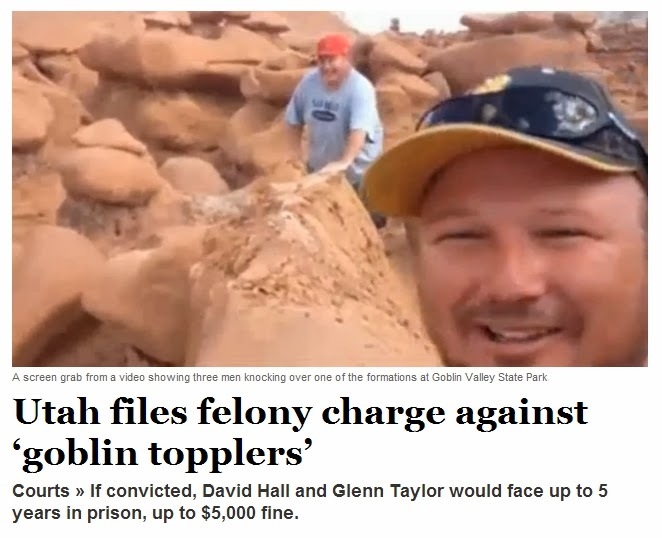 Naturally, we will now begin to cover this story in greater detail as it makes its way through the Utah criminal justice system. This is definitely NOT something we would ever volunteer to willingly do. Yikes! With each passing day, we learn a little bit more about how to navigate the Voice of America news website. We like the VOA News because it is totally free of annoying commercials, ads, flashy thingies and trashy celebrity stuff. 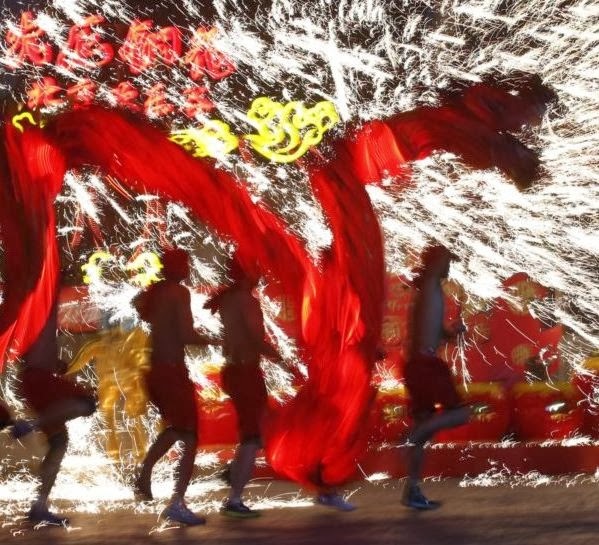 Below is the link where you can access many of the daily photo compilations from VOA. We've often joked that it would be fun to have an active volcano west of Idaho Falls or north of Flagstaff. 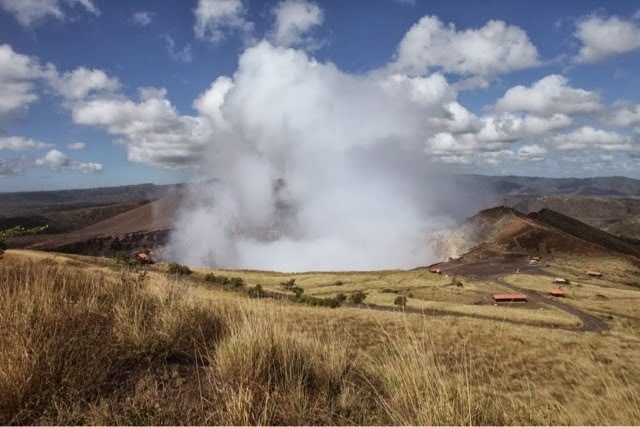 People who hear such wise cracks from me don't often appreciate just what an active volcano could do for the tourism industry. Well, Wayne Ranney's blog post from yesterday proves it CAN BE DONE! Note the visitor facilities just to the right of the smoking crater. Can you imagine having a fun crater like this out by Arco in Idaho or west of Wupatki in Coconino County, Arizona? And finally this fine February First, we bring you an article by Dear Friend Peter Corbett who we might actually get to see in person today with his wonderful wife, Taffy. 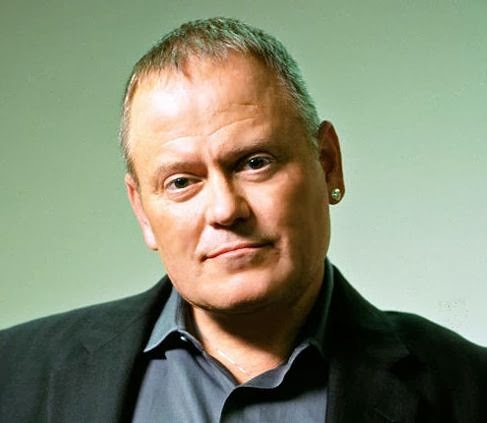 Peter is an Ace Reporter for a big newspaper and wrote a great article in today's issue about the founder of Go Daddy, Bob Parsons (no relation). 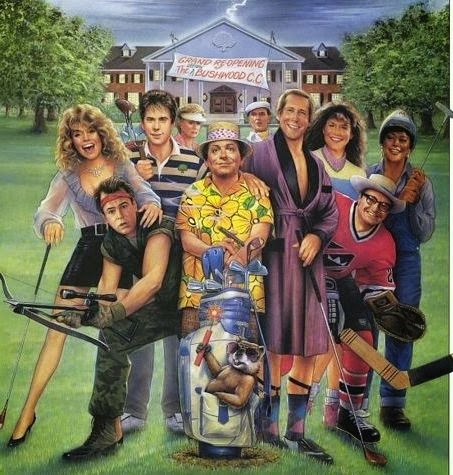 Here's Peter's article (complete with reference to Caddyshack, the movie). Way to go, Peter--bet that was a fun interview.